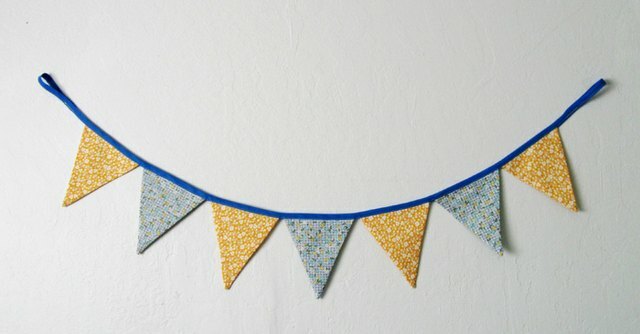 Bunting adds a festive touch to any room or party and is a great way to use up small fabric remnants. 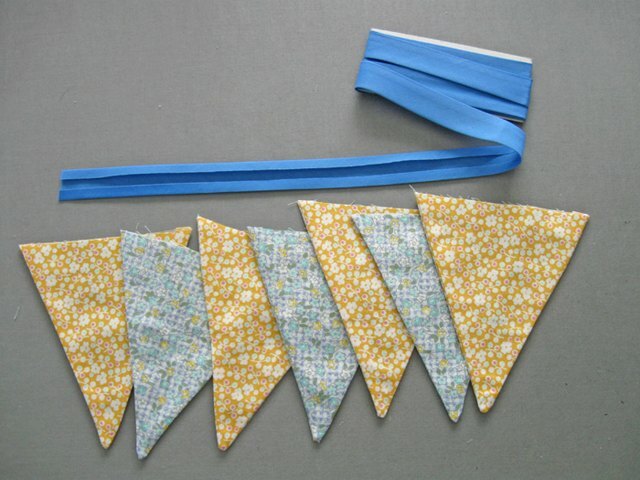 You can use any type of fabric for bunting and it takes little time to sew. We'll show you how to do in this step-by-step tutorial! Tip: Looking for a pattern? 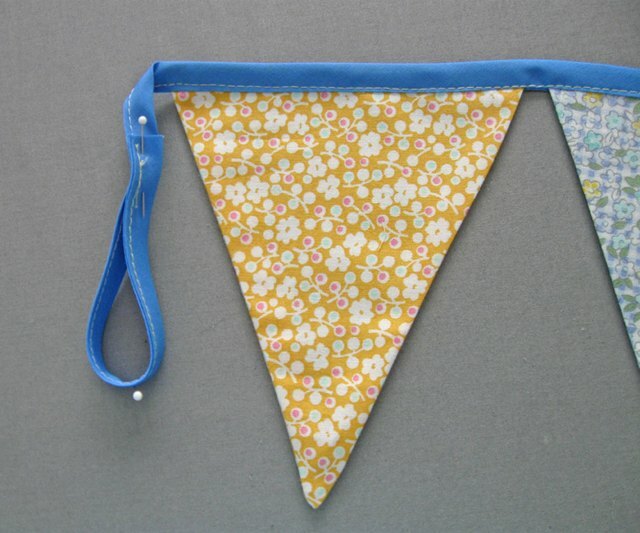 Find a selection of free bunting patterns here. 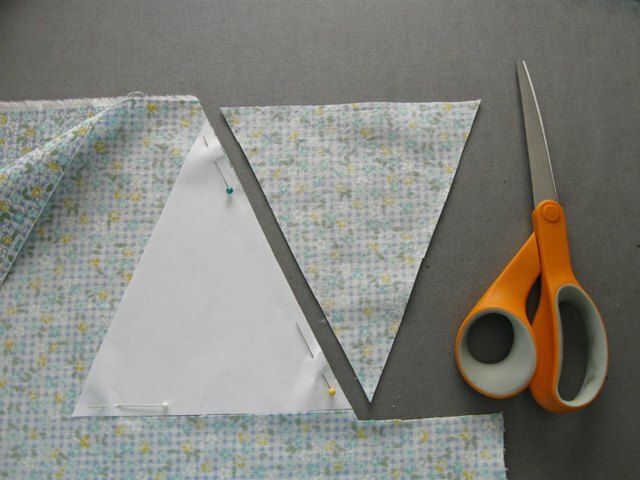 Fold your fabric with right sides together and place your bunting pattern piece on the fabric. 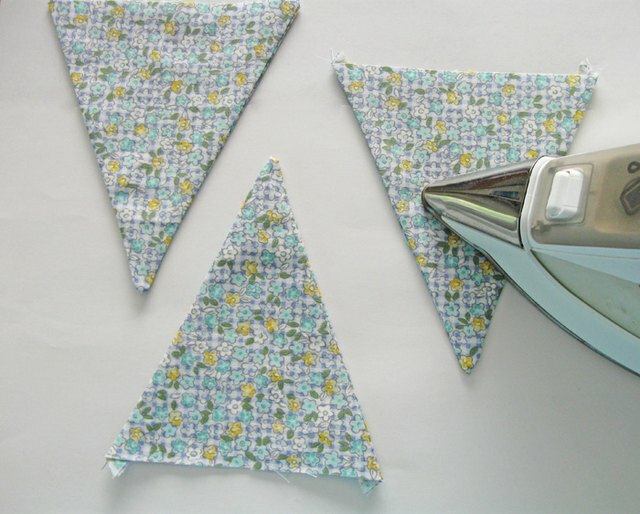 Cut out your bunting and leave the fabric pieces on top of one another, so you can go directly to sewing. On a fat quarter of quilting cotton, you can get the most bunting pieces by flipping the pattern pieces up and down as shown. 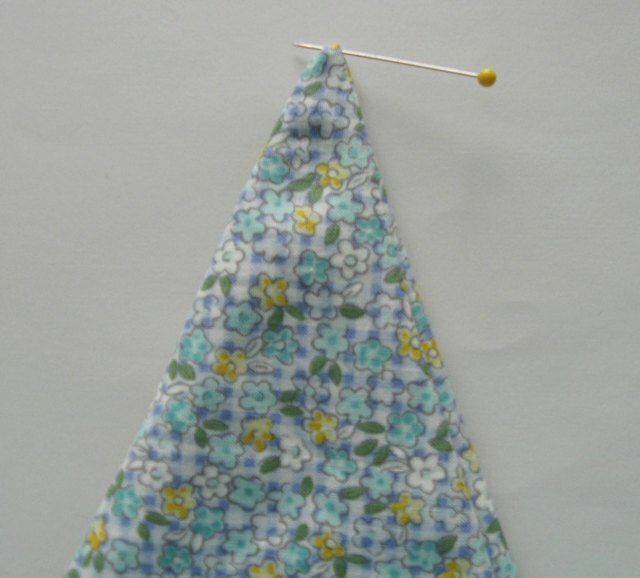 Stitch your bunting pieces with the right sides of the fabric together. 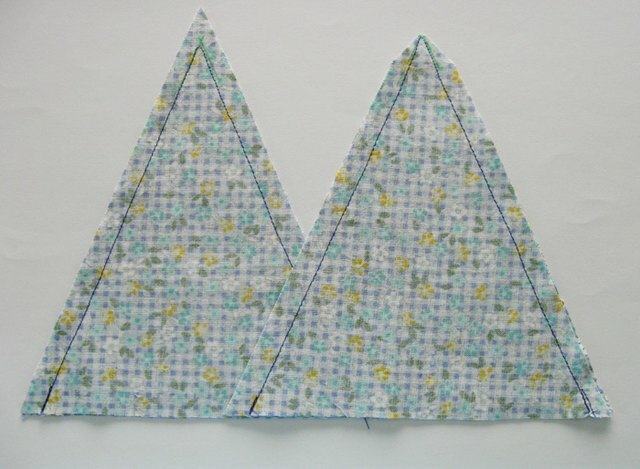 Use a small seam allowance, such as 1/4-inch, so that the bunting will turn right-side out easily. Leave the short edge open, as this will be enclosed in the bias tape that strings the bunting pieces together. Trim the tip as shown on the bunting piece on the right so you can turn right side out with little bulk. 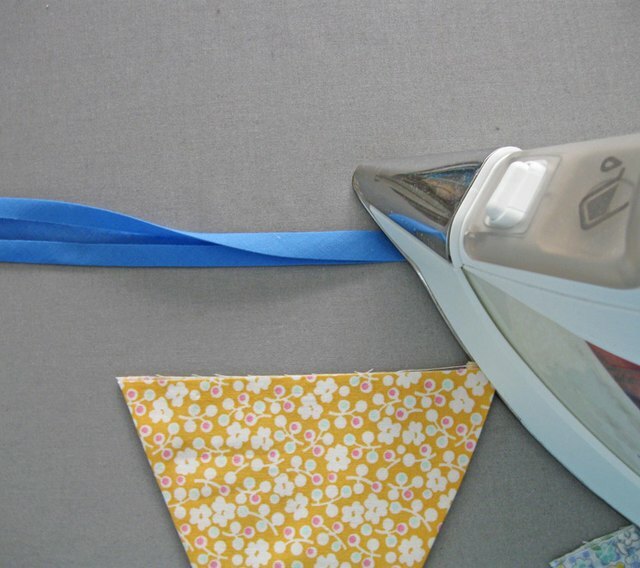 Turn the bunting piece right-side out and use a turning tool to push the corner or any other sections with a point. You can use a pin to tease out the sharp corner. Be careful not to poke through the fabric point and break the stitching there. Press the bunting pieces flat, creating sharp edges. Pre-package bias tapes work perfectly for stringing together bunting pieces. Measure out a length of bias tape that equals the sum of the edges of all your bunting pieces plus about 10 more inches at either end. Press the bias tape to create a fold. If you are using double-folded bias tape, your tape will already have this crease and be ready to use. Starting 10 inches from the end of the bias tape, insert the open edge of the bunting pieces into the fold of the bias tape and pin in place. You can have the bunting pieces touching or spaced farther apart. Sew the bunting pieces into the bias tape, making sure to catch the entire edge of the bunting into the tape and to catch both sides of the tape in your stitching. With the extra bias tape at either end of your bunting pieces, turn back a few inches and stitch down to create a hanging loop.